Only ten days to go until Christmas! 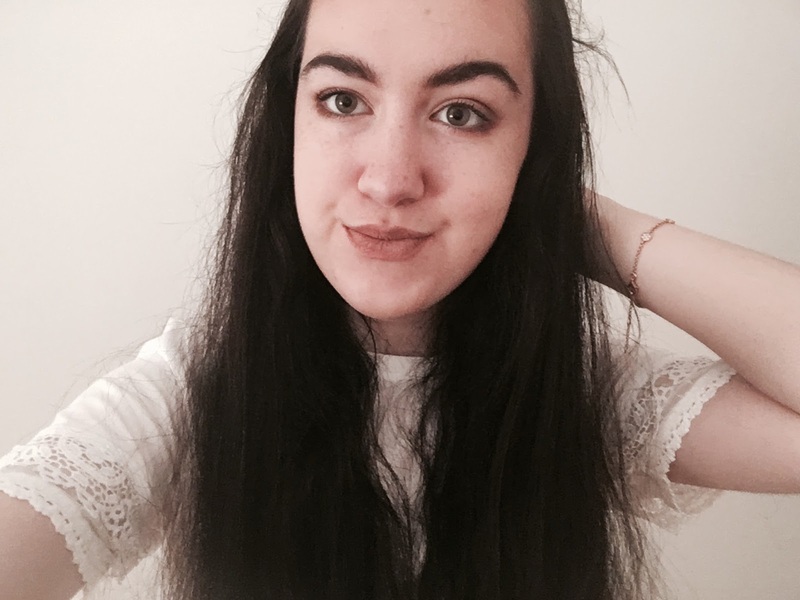 A week today I will have finished college for Christmas which is so exciting - blogmas has actually seemed to have gone really fast! 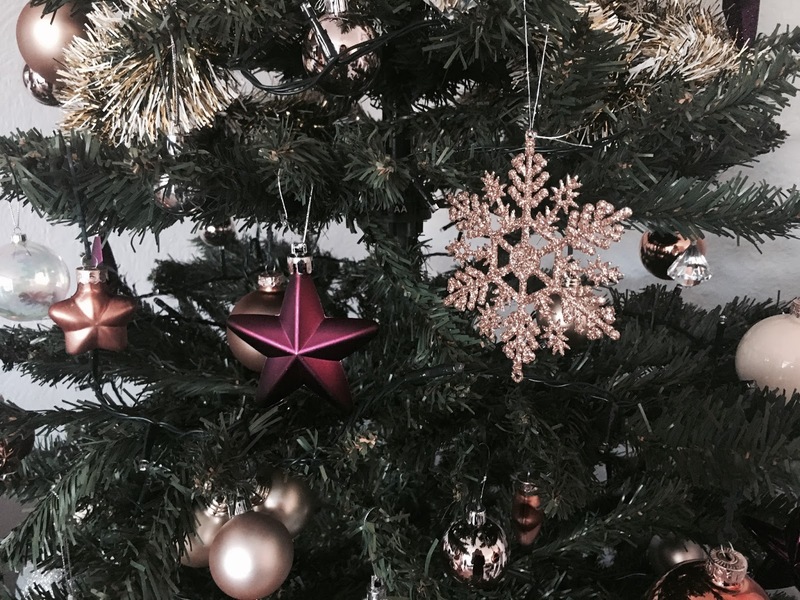 So, because it has gotten nearer to Christmas, today I thought I'd show you all my Christmas tree to bring a bit of Christmas spirit to my blog. Looking back at my Christmas trees the past couple of years really shows how much my mum manages to change the decor of our living room... two years ago our Christmas tree was decorated blue, as it was for years before that, with these gorgeous long baubls decorated blue, mirrored baubles with little sparkly Christmas trees on and blue toned tinsel. I'm pretty sure that year we popped some rose gold into our Christmas tree for the first time, down to how much I love it. Last year, our living room had a plum-purple colour scheme, so we got some really pretty purple sparkly stars to go on our tree to go along with it. We did also have a real Christmas tree which we got on sale around Christmas Eve and went in our front room, but apparently I have no pictures of it? We must have decorated it red too to fit with our room so it must have been very festive. 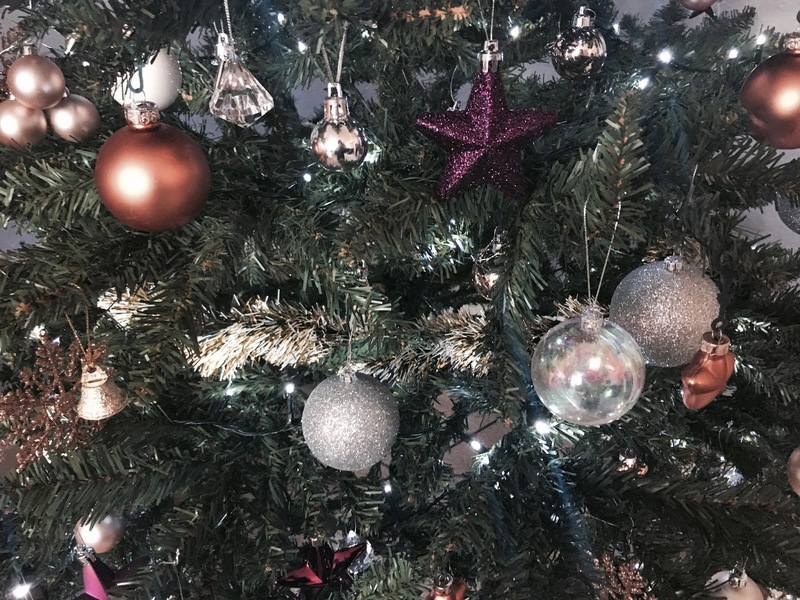 This year we have gone for a more neutral colour scheme, featuring silvers, golds and rose golds, with gold tinsel. To hide the wires, since it's in a different corner of the room this year, my mum wrapped old shoe boxes with wrapping paper until all the presents come, which I found so ingenious and creative. What have you decorated your Christmas tree like this year? Your tree looks so pretty, I love the colours! Our Christmas tree is more sentimental than matching up with the colours of the room, many decorations have meaning and we buy a new one each every year, so it’s getting pretty full!